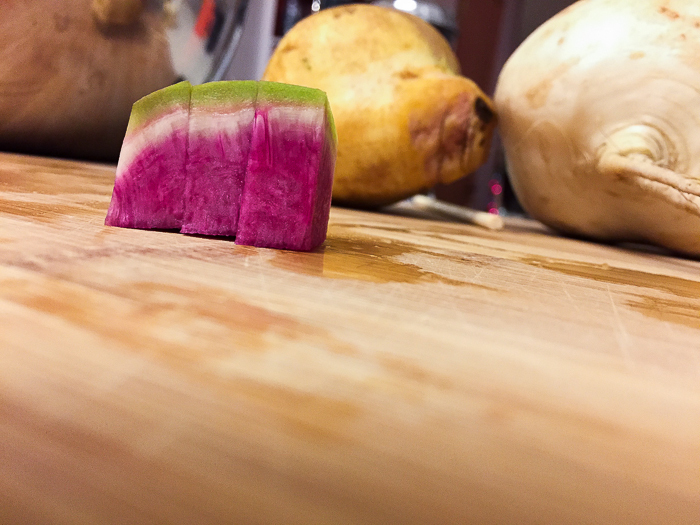 Watermelon radish IS a thing! An heirloom Chinese daikon radish thing to be exact. The co-op had cross-sections of these and as you can see they were stunning! We grabbed one and then a week later grabbed a few more. We’ve eaten them raw, roasted, and one is currently in a small pot of ‘kimchi’ like fermentation. They are as vibrant as a beet, but don’t bleed out and stain other veggies. I thought it tasted like a radish crossed with a turnip that wasn’t too spicy. It has a firm, but hydrating crunch—just like a radish. Any green on the skin is chlorophyll from exposure to the sun whilst growing. They are a cool season crop. 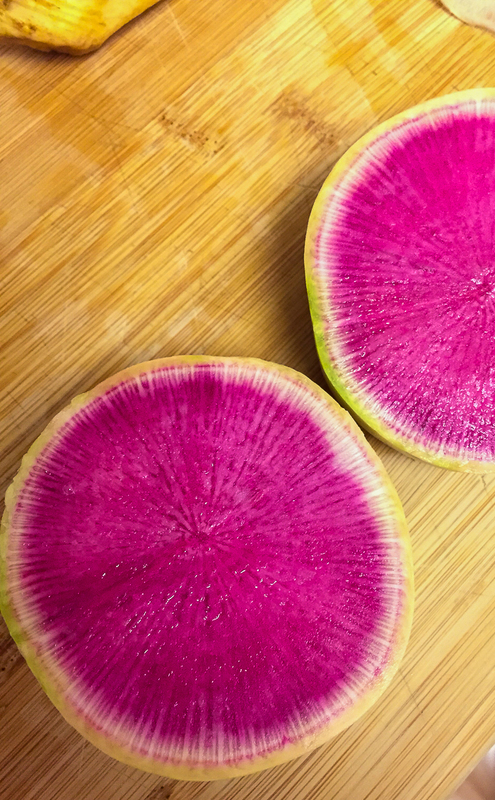 Have you seen or eaten a watermelon radish before?